The past year has been a busy one for WRAP, and we’re ready to relax and enjoy all the activities at the April, 2018 National Specialty, to include the Whippet World Congress! 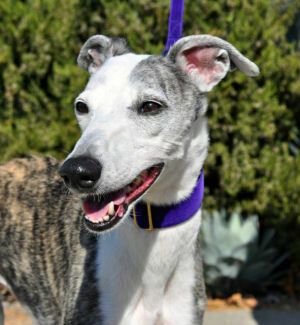 What a wonderful opportunity to be able to learn the latest on the Whippet breed worldwide. We have many activities planned. Location: Delta Hotels Baltimore Hunt Valley, 245 Shawan Road, Hunt Valley, Maryland 21031. We are pleased to join with other Whippet Rescues from around the world at a Worldwide Whippet Rescue table during the Whippet World Congress. Come and visit us there, and also throughout the week at the WRAP table to view the history of WRAP in a slide show of rescue Whippets over the years, some from as early as 2001 through the present. If you have photos of your rescue Whippets that you would like to have added to the slide show, please send your photos to Ruth Beall, rhbeall@hotmail.com, no later than Saturday, April 14, 2018. Rescue Whippets will again be featured in the Parade of Rescues on Friday, 4/27/2018, approximately one hour after the end of judging for the day. Register early to ensure space for your Stars! Send an e-mail to Ruth Beall no later than April 1, 2018, and then follow up with bio(s) for the Whippet(s) participating in the parade. 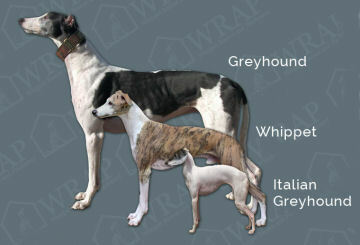 Donations for the Whippets and registrations for the Parade are now being accepted. If you have items to donate for the Parade of Rescues, or the WRAP Silent Auction, please contact Barbara Henderson, whippoorwill01@verizon.net. All items must be received no later than April 14, 2018, if you are not delivering them to the National yourself. The WRAP General Meeting will be held after the Parade of Rescues on Friday. All exhibitors and participants are invited to attend – you need not be a member of WRAP. Come on over to meet our members and hear our report! Please check this page frequently for more information as it is available on WRAP activities at the National Specialty!